Veteran US Senator Ted Kennedy has been released from hospital after suffering a seizure at President Barack Obama's inauguration lunch in Washington. His doctors said the seizure was due to fatigue and not the cancerous brain tumour he is being treated for. A spokeswoman for Mr Kennedy said the senator was in good spirits. 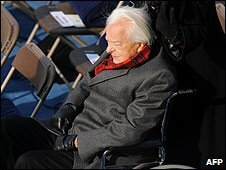 Despite being urged not to, the 76-year-old Mr Kennedy attended Mr Obama's swearing-in on Tuesday, held outdoors in freezing temperatures. "After testing, we believe the incident was brought on by simple fatigue," Dr Edward Aulisi of Washington Hospital Center said in a statement. Senator Robert Byrd was also reported to have been taken ill during the same lunch, but his office later said he was fine, Reuters said. Mr Byrd was removed from the lunch in his wheelchair but it was not clear whether this had been for health reasons. A congressional aide said Mr Kennedy had been evacuated by medical staff, apparently in convulsions. Democrat Sen Jay Rockefeller said there had been a call for silence in the room and the lights were lowered. "The president went over immediately. The lights went down, just to reduce the heat, I think," said Mr Rockefeller. 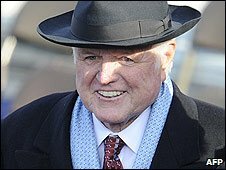 Mr Kennedy, the brother of assassinated President John F Kennedy, has received chemotherapy and radiation treatment for his brain tumour. Speaking at the lunch, Mr Obama described Mr Kennedy, one of the most respected Senate Democrats, as "a warrior for justice". 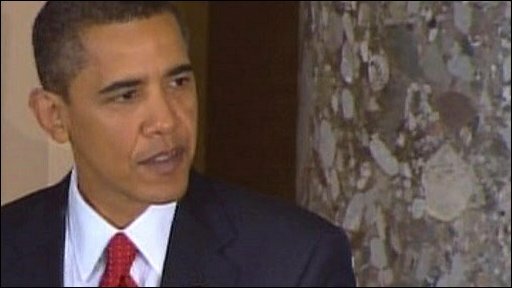 "I would be lying to you if I did not say that right now a part of me is with him, and I think that's true for all of us," said Mr Obama. He said the day was "a joyous time, but it's also a sobering time", and that his prayers were with Mr Kennedy's family and his wife, Vicki. Senator Orrin Hatch told CNN that Mr Kennedy had had a seizure and the situation had been "scary". "It looked like a seizure and it was painful to him," said the close colleague of Mr Kennedy. But he said that as he helped Mr Kennedy into an ambulance, "he kind of looked over at me and smiled that old Irish smile that I know [meant] that things are going to be all right". The second longest-serving member of the Senate, Mr Kennedy was an active supporter of Mr Obama during the Democratic primaries.